The Tall Man is the story of Palm Island, a tropical paradise in Australia's Far North. It is the story of Cameron Doomadgee, who in 2004 was arrested for swearing at Senior Sergeant Chris Hurley - the 'tall man' of the title. 45 minutes later, Doomadgee was dead. This extraordinary documentary takes the audience into the coronial inquest; into the riot that rocketed the story to the nation's front pages; the charging of Hurley for murder and into the once notorious Queensland police force. We see the impact on Doomadgee's family and the Indigenous community of Palm Island - a place where people live lives like no others, have a relationship with the land like no others, and a history, culture and a catastrophic present like no others. This is Australia, but an Australia few of us have seen. Based on the award-winning book by Chloe Hooper, The Tall Man is a gripping and provocative film that exposes the inescapable complexities of Australia's racial politics, and a haunting moral puzzle that no viewer will forget. 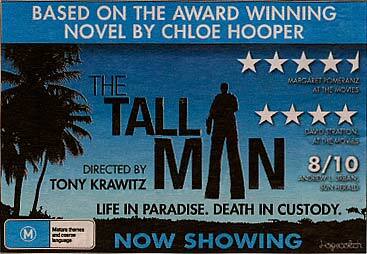 Tony Krawitz also wrote the script, based on the book The Tall Man by Chloe Hooper. The filmmakers failed to persuade Senior-Sergeant Chris Hurley, the arresting officer, to be in the film, although he is a voice and a presence in several revealing pieces of footage. 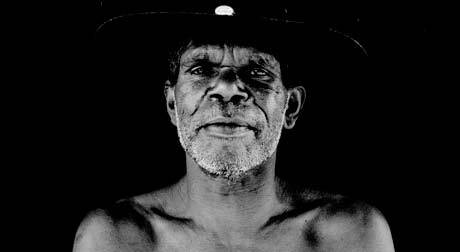 Following traditional Aboriginal protocol of not naming the dead by their real names, Cameron Doomadgee was named Mulrunji after his death.